Thank you for your interest in IBA Debates Clubs at MS! Our IBA Debate Clubs and After-School Online Registration has moved to IvyDebate.com. Ivy Bridge Academy works in partnership with the following Elementary Schools to offer After-School Debate Programs on-site at the school facilities. 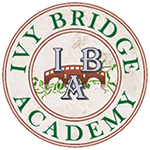 Ivy Bridge Academy works in partnership with the following Middle Schools to offer After-School Debate Programs on-site at the school facilities. Academic summer camps and after school programs in Alpharetta / Johns Creek, Ga. After school programs in debate, math, language skills, and public speaking. The quickest and easiest way to submit an application is using the online application form. Once filled out and submitted, you will receive a copy of the application in pdf format in your email for your records. If, however, you would rather print and fill out the application, you can download a hard copy below. Once filled out and signed, it can be submitted via email, fax, or postal mail. You can reserve your student's spot at IBA using our Online Payment System.